So, you find yourself in the unfortunate situation of having been arrested or you’re a suspect in a case. What do you do now? 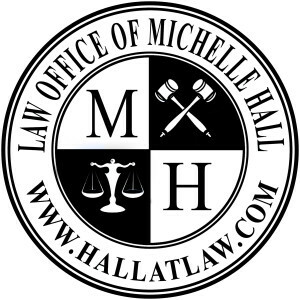 The first thing you need to do is contact The Law Office of Michelle Hall. Michelle Hall was a very effective misdemeanor prosecutor in Hall County for three years. During that time, she learned all of the “tricks” and tactics that prosecutors use against criminal defendants. You need someone with her experience on your side. Don’t talk to the police alone. The police are allowed to lie to you to induce you to tell them what they want to hear, even if it’s not the truth. They can keep you in a room for hours and harass you until you break and you’re willing to tell them anything they want to hear just to get out of that room! Don’t fall into that trap! Before you agree to talk to the police, contact The Law Office of Michelle Hall to get excellent legal representation so you don’t fall into any of the traps that most people fall for. Call The Law Office of Michelle Hall today to schedule a free 30-minute consultation to see how Michelle Hall can help with your criminal matter.